The course sponsor was, once again, Dutch company deVlamboog, which manufactures welding equipment and welders' protection equipment. The task was to develop integral protection for welders against excessive light and poisonous fumes and gases. From the previous years' developed mask concept the students had to develop a working prototype with an integrated camera and visualization system. The final product was targeted at the most advanced welding procedures in problematic environments such as nuclear power plants. One of the main requirements of the product was the ability to record the welder's view for later reference and checks in a safe environment. The original partner universities from Slovenia, Switzerland and the Netherlands were joined by a new partner, University of Zagreb from Croatia. The course began on 2 February 2004 with an introductory video conference meeting. It finished with a closing workshop in Lausanne between 23 and 30 May 2004. 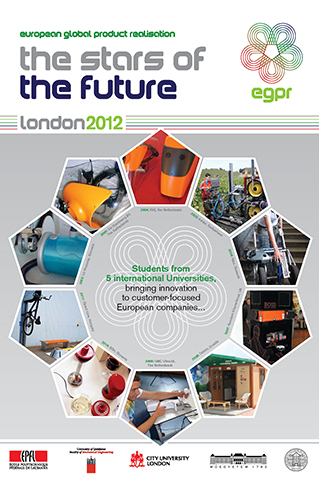 48 students participated in 2004 EGPR, forming five international teams, each developing its own prototype.